Local 458 has been lobbying for years to get Group 4 retirement for our members and we need your help to convince law makers to stop dragging their feet. 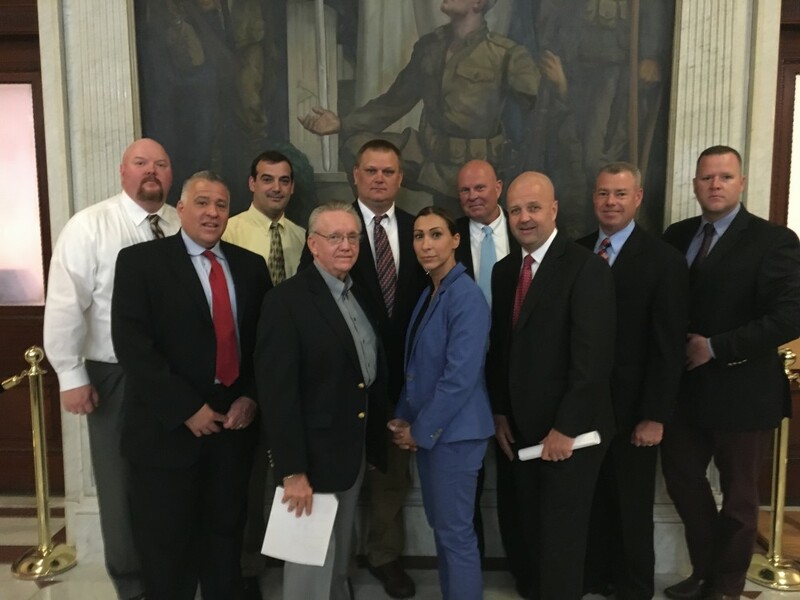 Today, Dorianna Medeiros led the charge with the Local 458 E-Board and went to the State House to lobby H. 2285, a bill that would move NAGE Trial Court employees to Group 4. Among the members they met with were James Dwyer, Theodore Speliotis, James Murphy, Carole Fiola and Tackey Chan. The bill is scheduled to come to a vote in the near future.